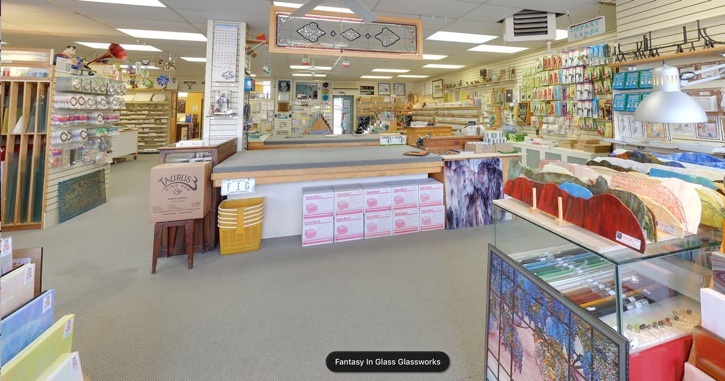 If you’ve been considering taking stained glass classes then fantasy in glass is the place to go! You can take classes as well as buy stained glass and fusible glass. Come check out all the stained glass supplies Ontario that we offer. © 2001 - 2019 Fantasy In Glass Glassworks 703 The Queensway, Toronto Ontario Canada M8Y 1L2. All rights reserved. (our competitors can have the wrongs). FIG®, Swiss Cheesed GlassWerks® and Well Tempered Glassworks® are used trademarks of Fantasy In Glass Glassworks Inc.
*NB: Please be aware that we do not endorse the above statement! The text above was written by a soulless, dispassionate multi-national conglomerate to make our site more search engine friendly. Fact is that it’s uninspiring and not a reflection of Fantasy In Glass.